St. Patrick’s Day is tomorrow & instead of adding green food coloring to everything I’ve decided to use science to help out. According to Sunbutter’s website there may be discoloration when cooking with sunbutter (sunflower seed butter) due to the chlorophyll present. 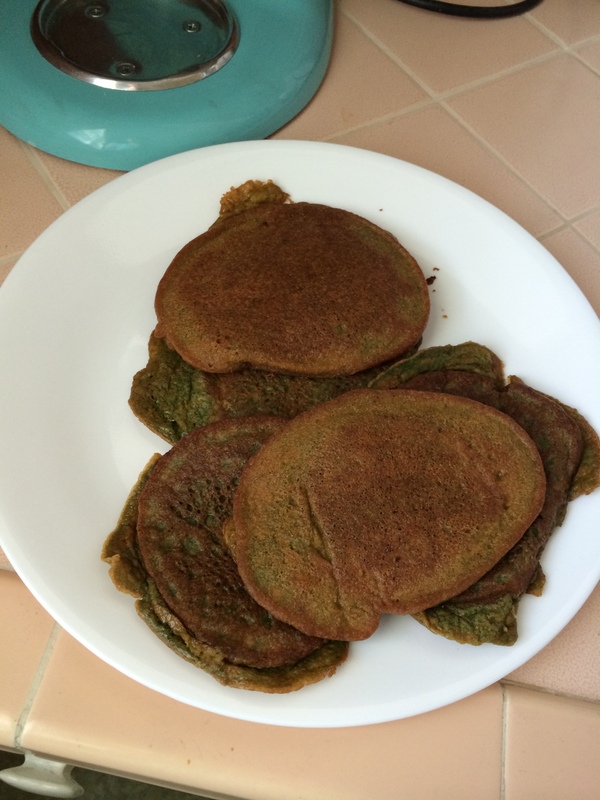 The chlorophyll acts differently in an acidic environment than an alkaline environment, so recipes with baking soda present (more alkaline) will cause foods to turn bright green. Woo hoo! 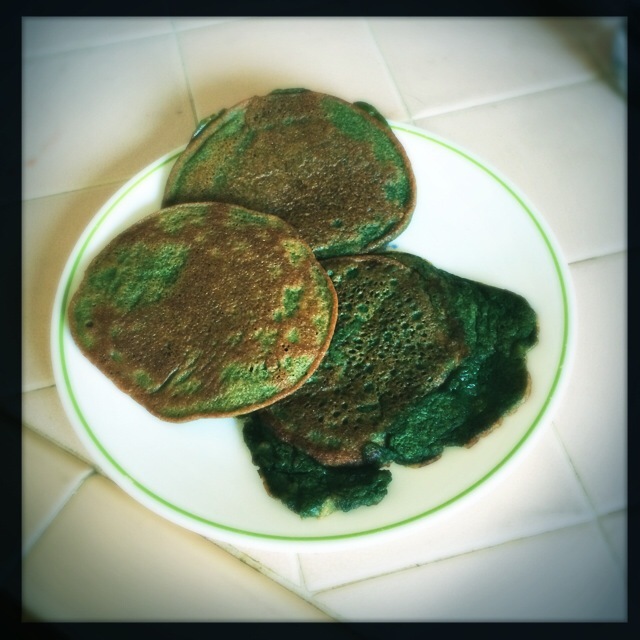 Science-y St. Patrick’s Day Pancakes!! Grain-free, dairy-free, etc. too! 1. Beat the eggs, add the other ingredients and mix until combined. 2. Melt coconut oil or butter in a frying pan. Drop approx. 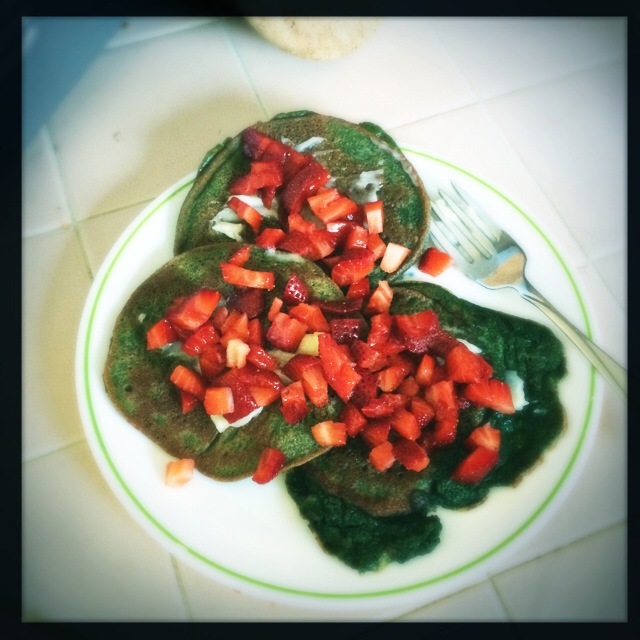 1/4 cup of batter into the frying pan for each pancake. 3. Cook for a couple of minutes or until the center starts to bubble. Flip and cook for another couple of minutes.